HOW TO FINALLY END YOUR CHRONIC HEALTH CONDITION NIGHTMARE! The very first thing you should know is - WE DO THINGS DIFFERENTLY. We don't do things the same way as other doctors and other healthcare practitioners, especially the ones that you've seen. Treat the person, not their diagnosis. You are different and unique. So why does everyone with your condition get treated the same way? "NO STONE IS LEFT UNTURNED TO DETERMINE THE EXACT CAUSE OF YOUR CONDITION!" "HOW DO I SUCCESSFULLY TREAT..........?" -We can assess your thyroid, adrenal glands, liver, kidneys, red/white blood cells and gut function with the above lab tests. All internal functions can be affected with chronic health conditions. By addressing any problems with your thyroid, adrenal glands, blood chemistry, or gut function, we can help you to heal faster. The CMP also allows us to check your blood glucose (Hb-A1C) levels since glucose and oxygen are needed by the brain to function properly. sensitivities, is to the run the test! #6: Adrenal Stress Index (ASI): We can further test your adrenal glands with a test called an Adrenal Stress Index. This is a salivary test much like DNA testing. Your adrenal glands are your "stress" organs meaning that they react to stress. If you have been or are currently under stress, this test is a must! IF YOU SUFFER FROM INSOMNIA OR BLOOD SUGAR ISSUES, THIS TEST WILL MEASURE YOUR CORTISOL LEVELS. When your body's cortisol levels are abnormal, you will suffer from insomnia and/or problems with your blood sugar. Cortisol levels can be corrected via specific nutritional protocols. #7: Autoimmune Disorders: Your condition could be caused by an autoimmune disorder. As you know, an autoimmune disorder is where your immune system attacks a particular area of the body (nervous system, joints, connective tissue, thyroid, etc.) so we test for specific antibodies to determine if you suffer from an autoimmune condition. FOR EXAMPLE: Many chronic pain/chronic fatigue patients that I have treated have tested positive for thyroid antibodies and they were actually mis-diagnosed. If your thyroid tissue anti-bodies (TPO & TPA) are high, you are suffering from Hashimoto's disease (you can google it for more information). The ONLY way to find out is to test for thyroid tissue antibodies via blood work. Your immune system could be attacking your nervous system which would cause pain and numbness. The ONLY way to know is to run the proper testing. Active antigens are parasites, bacteria, virus, mold, yeast, fungi, protozoan, foods, chemicals, and heavy metals. The immune panels give me an in depth picture as to what is exactly happening with your immune system. If you are suffering from an auto-immune disorder, it obviously trumps everything and it must be the first thing to be addressed. #8: H. Pylori: We can run a test for H. Pylori bacteria to determine any problems related to the gut function. #9: Intestinal Permeability: Used to determine if the patient suffers from leaky gut syndrome (LGS). LGS or Leaky gut syndrome describes a condition of altered or damaged bowel lining caused by antibiotics, toxins, poor diet, parasites or infection can lead toincreased permeability of the gut wall to toxins, microbes, undigested food, waste or larger than normal macromolecules. It has been proposed that these substances affect the body directly, while others postulate an immune reaction to these substances. #10: NEUROTRANSMITTERS: We can test for decreased neurotransmitter activity. Neurotransmitters are vital for proper brain function. Decreased neurotransmitters can cause increased pain and altered chemical states leading to symptoms of anxiety, depression, grief, etc. #11: HORMONE PANELS: We can check homone panels to determine if the patient suffers from low testosterone in males or low estrogen or progesterone levels in females. Symptoms related to decreased hormone levels may include depression, fatigue, mental fogginess, mood swings, hot flashes, sweating attacks, weight gain, and decreased physical stamina. #12: INFLAMATION: Finally, we may need to test for inflammation in your system by testing homocysteine levels and C-Reactive Protein (C-RP). Many patients suffering from chronic health conditions suffer from inflammatory processes. Just about every fibromyalgia patient that I have treated suffers from some form of chronic inflammatory process. OXYGEN AND GLUCOSE. By using oxygen, we will help you heal faster. By using exercise with oxygen therapy (EWOT) with an ergometer, we can increase firing to brain. By increasing firing of brain, we help MANY chronic conditions. Vibration Therapy: Vibration fires the back part of the brain called the cerebellum. One of the functions of the cerebellum is control of the spinal muscles. Auditory Therapy: By listening to certain types and frequencies of sounds in ONE ear we can effectively stimulate the brain to work correctly. Visual Eye Therapy: By stimulating the eyes through certain color lenses and lights, and using eye exercises we can fire the cerebellum and balance the brain. Olfactory Therapy: Certain smells in one nostril can be used to directly stimulate the brain. Caloric Stimulation: To increase firing of the brain, particularly with balance disorders, a warm water caloric in the ear canal can greatly stimulate the balance centers to fire correctly. Unilateral Adjustments: Chiropractic adjustments to only one side of the spine and extremities greatly influence cerebellum firing to the brain. AguaMed Dry Hydrotherapy: By providing heat, vibration and massage we can stimulate the cerebellum. Interactive Metronome: A computerized brain-based rehabilitation assessment and training program. Helps patients with Dyslexia, Learning Disorders, MS, Parkinson's, Stroke Rehabilitation and balances the brain. ATM2 System: A unique exercise device that provides relief from chronic neck, back, shoulder and hip pain by restoring core muscles and increasing range of motion. Can relieve back pain in as little as 5 minutes. HealthLight® - InfraRed (IR) Therapy: Infrared therapy is an FDA cleared treatment that has been shown to decrease pain, decrease inflammation; speed healing and more. By directing specific frequencies of infrared and near infrared light to the body this painless treatment can accelerate the healing process and increase circulation. IR has been clinically shown to help with Carpal Tunnel, Peripheral Neuropathy, RSDS, Fibromyalgia and other painful conditions. Nutritional Direction: Part of the bigger picture to restoring your health is how you eat. We have specialized training to provide you with sound direction when it comes to eating well and using supplementation. If you are skipping the healing benefits of good nutrition you are not doing all that can be done to get better as fast as possible. Supplementation is based on laboratory analysis and is recommended if essential to your recovery. Glutathione Therapv: Known as the mother of all antioxidants, glutathione is found in almost every cell in the body. Glutathione can help decrease pain and inflammation, give you more energy and rid your body of numerous toxins. ReBuilder: The ReBuilder® ... 94% effective for the treatment of the chronic pain of Peripheral Neuropathy. The ReBuider is a proven and doctor recommended electronic, peripheral neuropathy treatment. We are the only chiropractic clinic in Northwest Minnesota using this unique treatment. You can think of it like a defibrillator for the nerve; the ReBuilder gets it working again. Individualized Exercise Planning: Many of our patients want to take an active role in their recovery. We empower you with individualized exercise programs tailored to your specific needs. Some exercises are to stimulate your brain activity and others are to correct spinal and postural alignment. These plans often contain several 'phases' that change as you become stronger and healthier. Let's make you the best you can be. Computerized Postural Analysis: Many patients are "shocked" at how poor their posture has become over the years. We provide BEFORE and AFTER pictures and you will feel and SEE the difference. Computerized Electrodiagnostic Testing: EMG and NCV studies to aide in diagnosis of a variety of neurological conditions. These specialized tests are used to uncover some of the most stubborn nerve based and muscle disorders. Dozens of other specific treatment options as needed. #3 Pro-Adjuster Computerized Adjusting Procedures: Our clinic utilizes the Pro-Adjuster computerized system to assist in the detection and correction of joint dysfunction whether in the spine or extremities such as the knee, shoulder, hip, ankles or feet. This allows us to provide gentle correction without the popping, twisting, cracking or bending that some patients are uncomfortable with. up the spinal cord to increase firing of brain. Great for disc herniations, spinal stenosis and other painful conditions. We are one of only a handful of clinics utilizing this therapy in Northwest Minnesota. 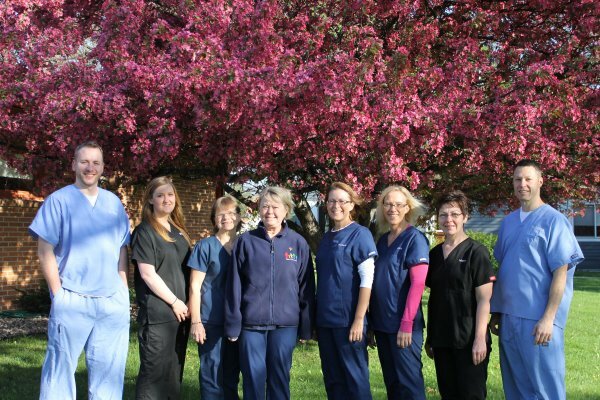 #5 Graston Instrument Assisted Soft Tissue Therapy: Our office is one of only a few in Northwest Minnesota to be fully trained in the Graston Instrument Assisted Soft Tissue Therapy. This therapy utilizes specially designed instruments to work with muscles, tendons and ligaments to remove scar tissue and improve elasticity and function. If you have a chronic muscle/tendon problem, this will be like no other therapy you have ever had. #6 Computerized Bio-Feedback for Allergy and Hypersensitivity Reactions: Our Computerized Bio-Feedback system is FDA cleared to reduce stressors in your system that may be triggering hypersensitivity reactions and allergy symptoms. If you're experiencing these symptoms they are causing inflammation and damage to your body. This system can correct that. #7 Nutritional Reflex Checks: Through the use of Kinesiology we are able to test nutritional reflex points on your body to better determine what nutritional supplementation might be best for you. Nutritional reflex points act very much like your patellar (knee) reflex. When pressure is placed on the reflex point, a muscle response reaction occurs. It's just the natural way the body is wired. #8 Spidertech Kinesiology Taping: Spidertech pre-cut, ready to apply applications provide the continuous care necessary to reduce discomfort and swelling. They help restore strength to an injured area and can improve the mobility where range of motion has been restricted. The applications help accelerate your recovery and help provide the "treatment between treatments" that some individuals require to remain active. Again, once we have determined the specific brain based therapy needed and run all the necessary tests, we can determine the best treatment plan for you, individually, utilizing proper neurological and all natural nutritional protocols. Most importantly we have a doctor who can put it all together for a comprehensive program to help your condition. Dr. Mark Pederson is not only a Board Certified Chiropractic Physician but is also a Clinical Nutritionist with extensive training in Functional Blood Chemistry and Laboratory Analysis. Call our office today at 218-745-6655 to let us show you what makes us different!